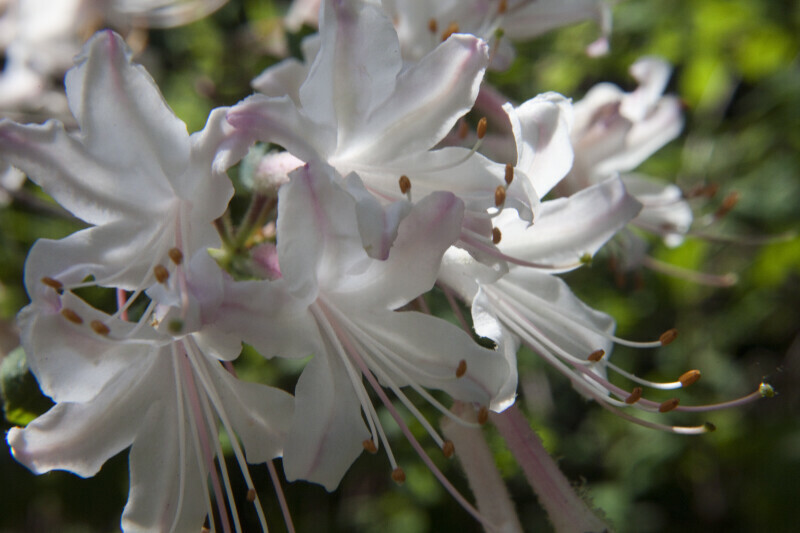 Several white azalea (Rhododendron atlanticum) flowers at the Arnold Arboretum of Harvard University. The styles are pinkish-white and the stigmas are green; the style, stigma, and ovary make up the female part of the flower. The filaments are long, curly, and white; the anthers are dark-orange. The anthers and filaments make up the stamen, which is the male portion of the flower.